In 2012, Barbara Gehrung was invited to provide passive house consulting services for the University of Virginia’s ecoMOD project. 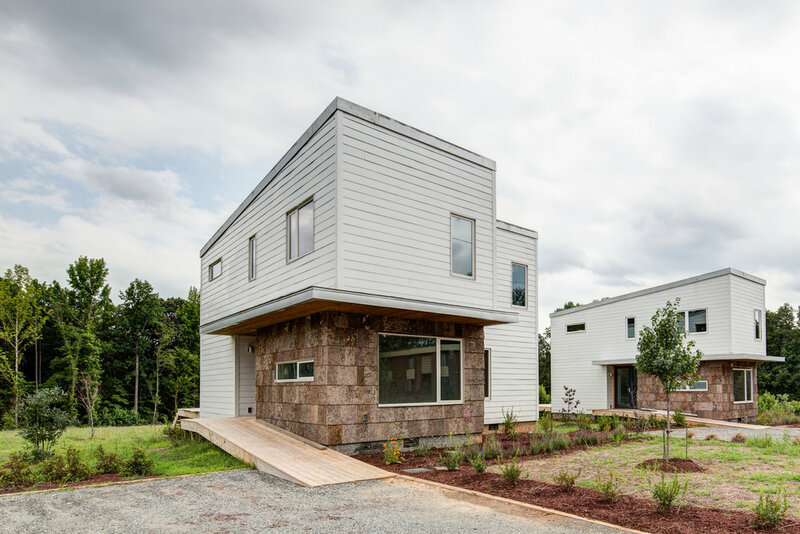 Within this project, supported by the Tobacco Region Revitalization Commission of Virginia, architecture students and researchers teamed up with a modular fabricator and local non-profits to design and build prototypes of affordable, modular, energy-efficient housing units for the commercial market. 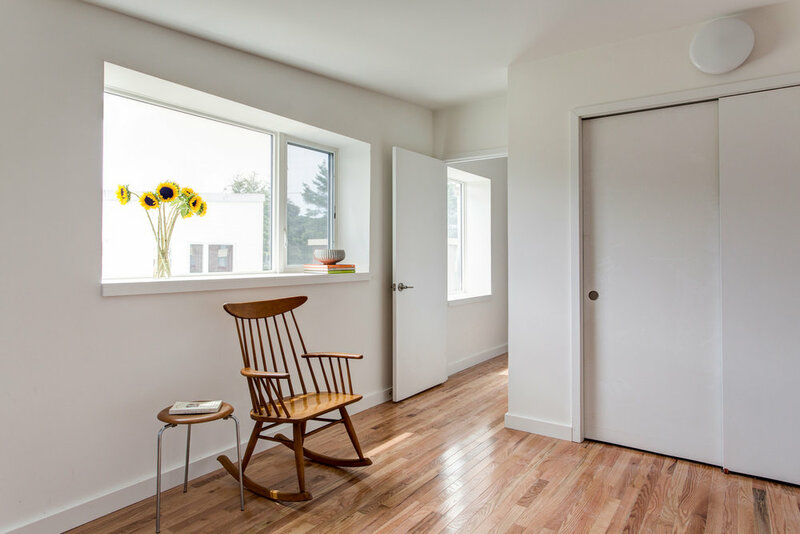 After two years of intensive work, two successful Passive House units and one to code comparative unit were completed in South Boston and Abingdon Virginia. In addition to energy efficiency, the homes feature non-toxic and reclaimed or sustainably sourced building materials, and the site is enhanced by a landscape design that is both aesthetically pleasing and ecologically sound. In 2013, the project won Architect Magazine’s prestigious R+D Award. For more about this project, please visit ecoMOD’s website HERE.